Since my last blog on 25 January, in order to inform the community run libraries toolkit, I have been out and about meeting lots of people: heads of library services who have worked with communities to develop community run libraries in their locality, community library liaison officers who offer support to volunteer run community libraries, and many volunteers who undertake a huge variety of roles in libraries across England. The purpose of this blog is to share some of the findings so far. I also met representatives from Broomhill and Stannington community libraries in Sheffield and have received feedback and information from heads of library services, plus from those of you running community libraries, and people and groups campaigning to protect their libraries. You can see photos from all these visits in our flickr albums. Key drivers for the setting up of community libraries include financial challenges and the localism agenda, which has prompted local authorities to look at their public library service provision and consider what role communities may be able to play. During consultation, many communities indicated that they would prefer to explore partnership working rather than library closure. Two key models appear to be emerging: a community managed library which is delivered by the community, rarely has paid staff, but often has some form of ongoing local authority support and may be part of the public library network. Or, a community supported library, which is led and funded by the local authority, has paid professional staff and is supported by volunteers. The community libraries that we have visited have indicated that, where a good package of support is in place, including regular contact with a paid professional staff member, they are able to focus on the daily delivery of a service which meets their user needs. 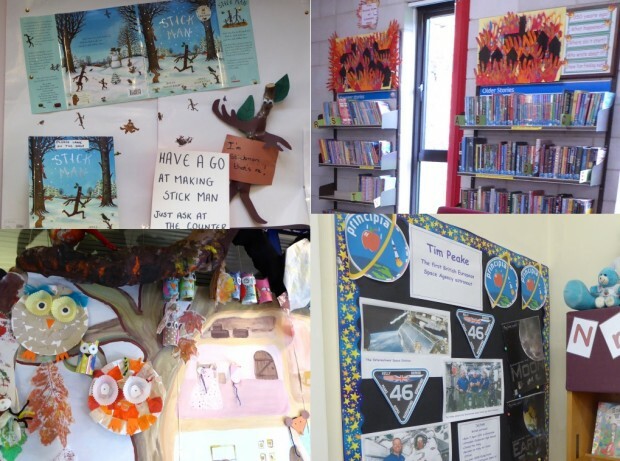 Suffice to say that each community run library is unique as the services offered are tailored to local requirements, but a key fact emerging is that most wish to retain the core library service and be part of the local authority library network. They offer a range of events, and we noticed that children’s activities feature strongly in the range of services offered. Most community run libraries have developed relationships with nurseries and schools and enjoy promoting the summer reading challenge. The toolkit will contain case studies to illustrate the programmes on offer. One of the strengths of these community run libraries tends to be the management board of volunteers which draw on their expertise across a range of skills including finance, education and building maintenance. Many have said that running the library is like “running a business” as they ensure that the service is delivered within the terms of the service level agreement or the memorandum of understanding with the local authority. Teams also use the variety of skills and interests of their volunteers to spend time on different aspects of library work. We have seen some wonderfully creative exhibitions and displays in community libraries around the country. Depending upon the support package from the local authority, many volunteer groups have set up a range of income generating activities. We’ve seen examples which include selling knitwear and crochet items from knit and natter groups, holding craft fairs, running regular events (including quizzes, outings and socials) and book sales. We’ve seen groups who have leased space to other organisations like the police or children’s centres or formed a community hub, sharing the space with the town or parish council. Volunteers who are on the management board are aware of the need for succession planning and the age profile of their volunteers. Some communities are working with schools and encouraging youth volunteering through the Duke of Edinburgh scheme. Others have a mixed age range of volunteers which include young mums and job hunters who are using the opportunity to develop new skills. I’ll continue to carry out research, and a beta version of the Toolkit will be published on the GOV.UK website soon. During the beta phase, we welcome further examples and evidence to help ensure it continues as a helpful resource, both for library services and communities. What are the weaknesses of these models? See http://www.publiclibrariesnews.com/campaigning/volunteer-run-libraries/cons for some of the weaknesses and problems, http://www.publiclibrariesnews.com/campaigning/volunteer-run-libraries/pros for the plus sides and http://www.publiclibrariesnews.com/about-public-libraries-news/list-of-uk-volunteer-run-libraries for the most comprehensive list of volunteer libraries available. This blog was a narrative about our experiences so far and the research we are doing to inform creation of the toolkit. Our draft (which will be published shortly) does include the concerns and issues raised both by people we have spoken with and examples that have been sent to us. As Leon acknowledges in his blog http://leonslibraryblog.com/2016/03/07/the-whole-story/ I do recognise the contentious nature of the issue, and state the sorts of things that needed to be in place for success. By extrapolation, if any of these things are not in place, this may cause problems for different communities, depending on the circumstances. When the toolkit is published, please do send us any further evidence or examples to illustrate the points made - we intend to make regular iterations based on feedback. The strengths you example are all found in council-run libraries that work with their communities - and they are likely to be a lot more sustainable. The same was evident in the previous MLA report on volunteer libraries. It is bound to make an unfortunate impression if you present an interim report that lists 'strengths' & not weaknesses, & does not reference existing research such as the excellent lists on PLN's website (above), or the comprehensive research in Wales or the more perfunctory, but still telling, research in Scotland. The main problems appear to be that these libraries can't get nearly enough people or money - pretty basic, then - and performance tends to plummet even in the short term. Thanks Laura. Sharon may have more to share, but I can confirm we did visit Lewisham and Sheffield, and have spoken to many in other areas. Our intention is that the toolkit does include both the positives and the concerns that people have shared with us. Is there no supervision at 'The Task Force' or are we just paying for pleasant days out in the Cotswolds? Tim, we will make sure the report does address these things - this blog post is an update on progress as we gather evidence and examples. I don't suppose it might cross your mind - given all the comments here - that you are approaching this subject in the wrong way ? It would be great if the Task Force could visit Jesmond Library in Newcastle upon Tyne, which is an independent community-run public library, which receives no revenue funding or regular advice from the local authority. All the running costs are raised by the volunteers, who staff the library on three days a week and organise a huge range of other activities from children's activities and lectures and language classes to play reading, current affairs discussions and a camera club. A book buying group receives suggestions from users and regularly purchases both new and second hand books. Two of our volunteers (at least) have a background in public libraries, which is a great advantage to us. It is nearly three years since the council closed the library, and over two and a half years since it re-opened. We would like to be more closely related to the local authority library network, but this is apparently not possible at present. We certainly would not say that we run the range of services provided in a city-centre main library, but we would argue that in many ways we provide a better service than some small local libraries which are part of the "official" library network.